Funeral service for retired Army SSG Herman Joe Twellman, 88 of Lawton, will be at 10:00 a.m., Friday, August 17, 2018 in the Lawton Ritter Gray Funeral Home Chapel with Jack Gillespie officiating. 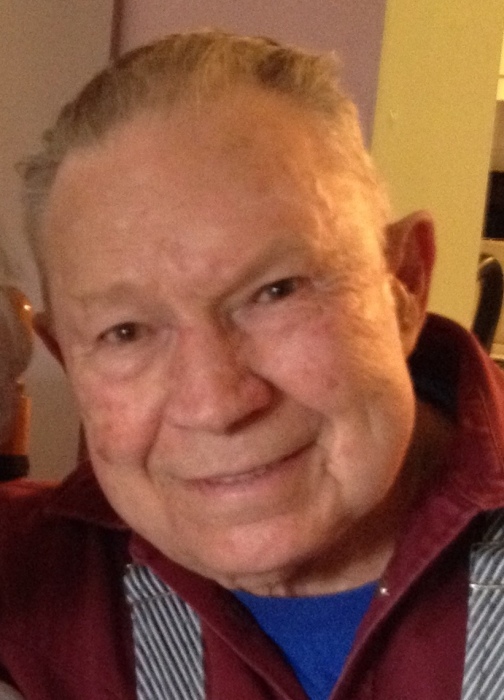 Mr. Twellman passed away on Monday, August 13, 2018 in Lawton. Burial will be at Pecan Cemetery in Lawton. Viewing will begin at 5:00 p.m. on Wednesday, August 15, 2018 at the funeral home. Herman “Joe” was born on December 5, 1929 in Moscow Mills, Missouri to Edward Herman Twellmann and Mary Maragret (Schieffer) Twellmann. Herman “Joe” grew up in Missouri. In January of 1949 he joined the United States Army in St. Louis, MO. Herman “Joe” was a career Soldier. He traveled to many duty stations throughout his twenty years of honorable service; he served in: Germany, Ft. Greely, Alaska, Vietnam and he was in the Korean War . Herman “Joe” retired from the U.S. Army in 1969. After retiring from the Army; he and his family settled in Lawton, OK. Herman “Joe” was married to his first wife, Mary Jo (Mayden) from February 19, 1955 until her passing on September 15,1980. On May 15, 1987, Herman "Joe" married his current wife, Oleta “Sue" Gresham . After leaving the Army; Herman "Joe" worked as a welder. In his leisure time he enjoyed hunting and fishing. He loved his family and especially enjoyed spending time with his all of his grandchildren. He is survived by his wife: Sue of the home. His sons: Larry JoeTwellman and wife Susie of Moore, OK, and Clifford Nunley and his significant other Shellby Eidson of Porter Hill, OK. His four daughters and sons in law: Mary Berg of Lawton,OK, Susan Agostini and her husband Ray of Lawton,OK, Tommie Brown and her husband Jason of Elgin,OK and Marsha Todd of Lawton, OK. His two sisters and brothers in law:, Marilyn Menne and her husband Bernard, and Marie Finger and her husband Jim Finger, both couples are from Troy, MO. He also leaves behind twenty grandchildren, forty-one great grandchildren, three great great grandchildren as wells as numerous nieces, nephews, and cousins. He is preceded in death by his first wife Mary Jo; his son, Herman Edward (Sonny) Twellman; two brothers: Richard and Harold Twellmann.